While there are so many car companies in the U.S. today, Chevy is a classic automaker. 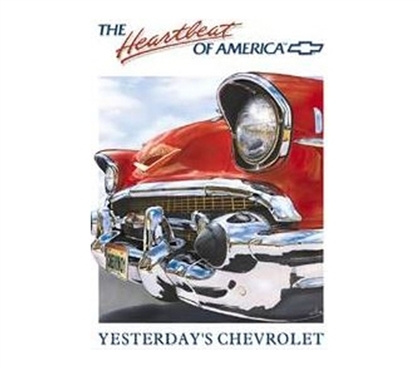 So show your support for American autos with this Heartbeat Chevrolet Tin Sign. Cool dorm room wall decor items are college must-haves, as they're the supplies for dorms that show your interests and let your room take on your character. While there will be a whole range of college essentials, from a comfy extra long twin comforter to a trunk for college in which to keep all that dorm stuff, dorm room tin signs are perfect college items for bringing some character and uniqueness to your living space. So make sure to do just that, and don't overlook tin signs for dorm rooms when you're selecting your dorm decor.